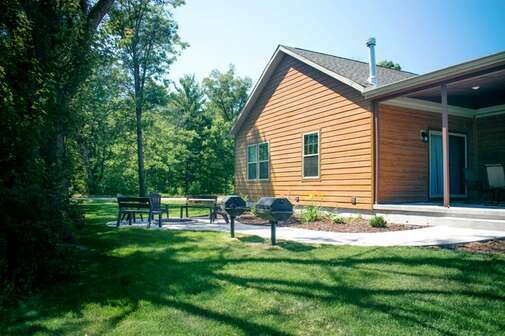 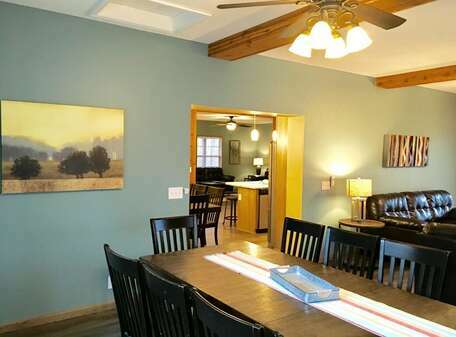 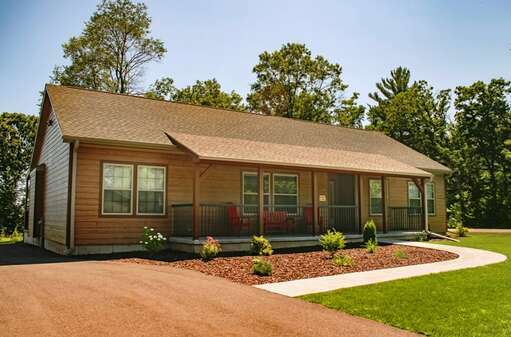 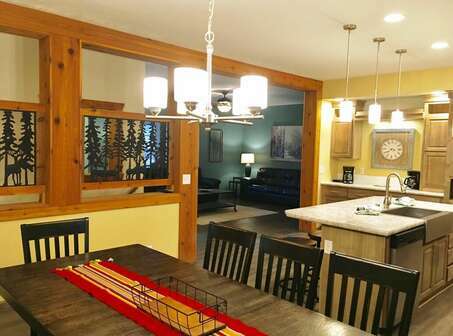 Enjoy this impressive ranch home complete with six large bedrooms and four full bathrooms. 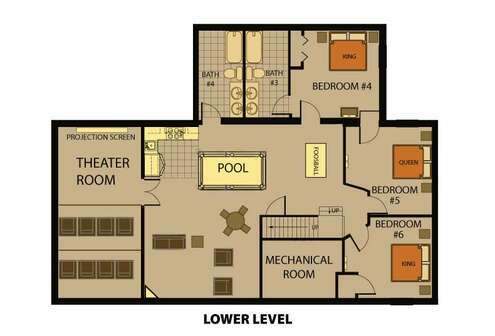 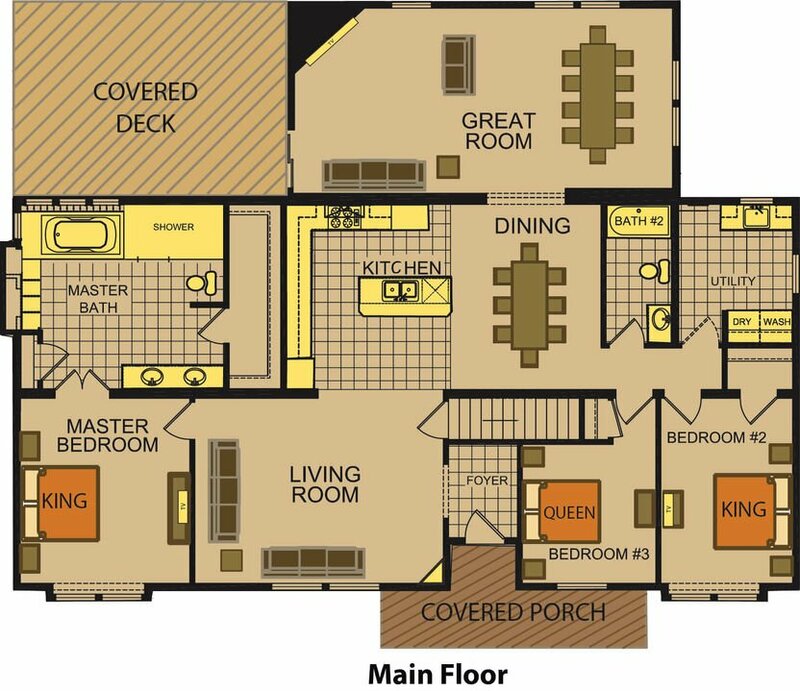 This spacious abode offers a master bedroom on each level and four additional bedrooms each with flat screen TVs. 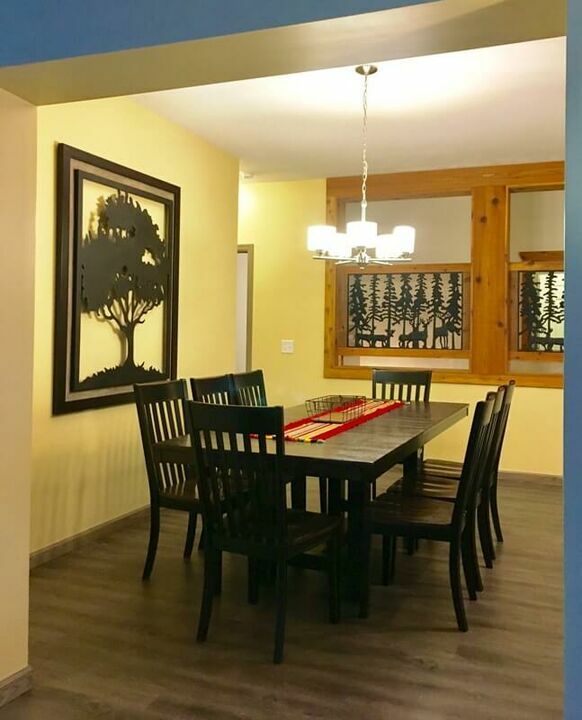 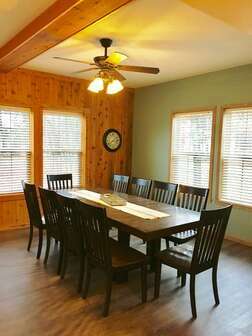 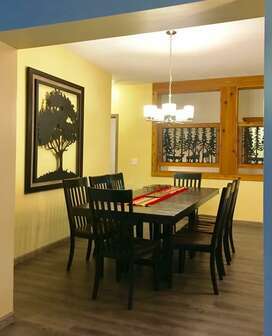 Three large living/family rooms, two full kitchens, two dining areas, a fire place, rec room and separate theater room round out the amenities available to guests. 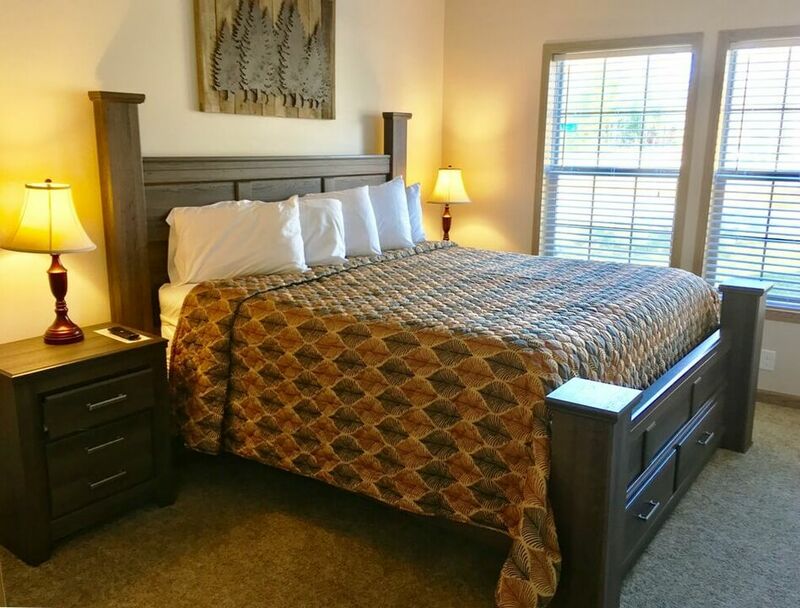 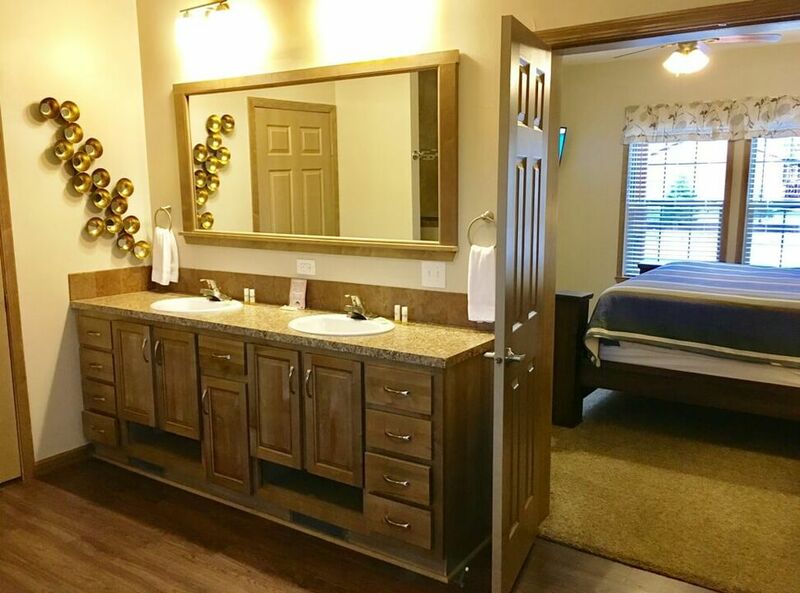 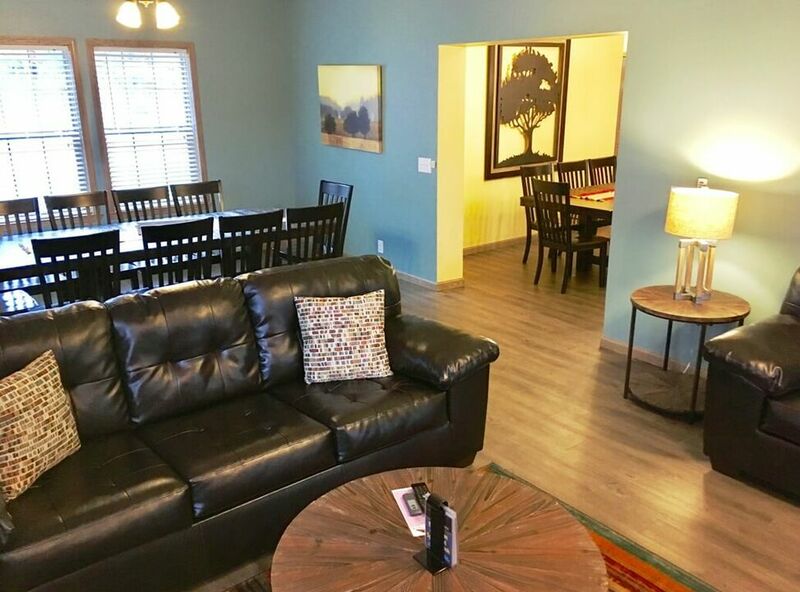 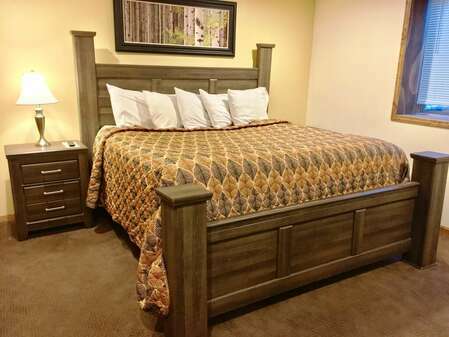 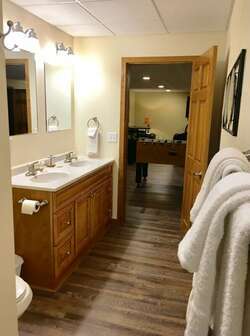 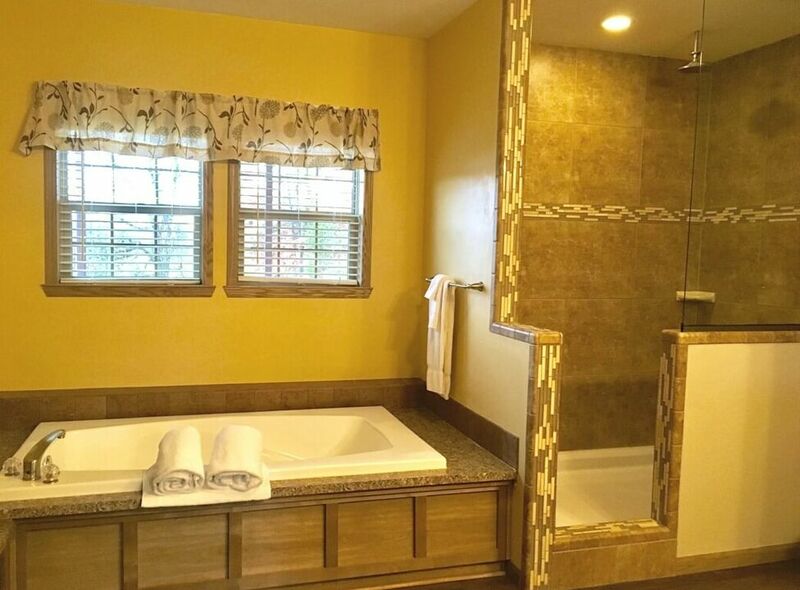 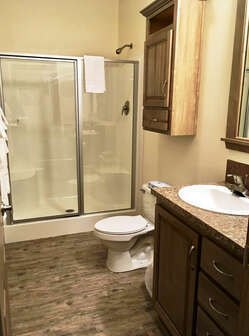 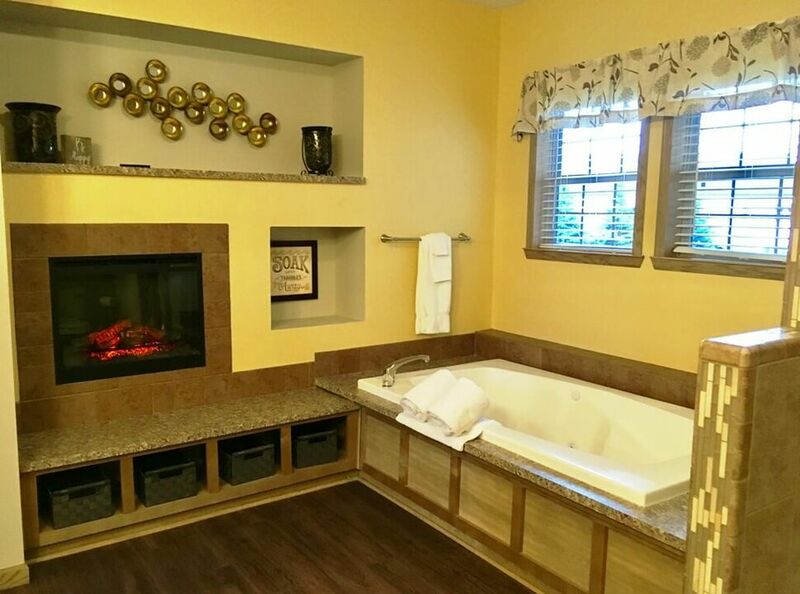 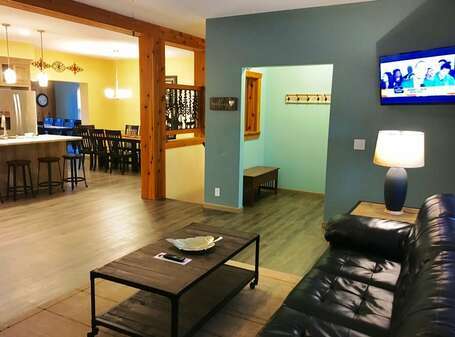 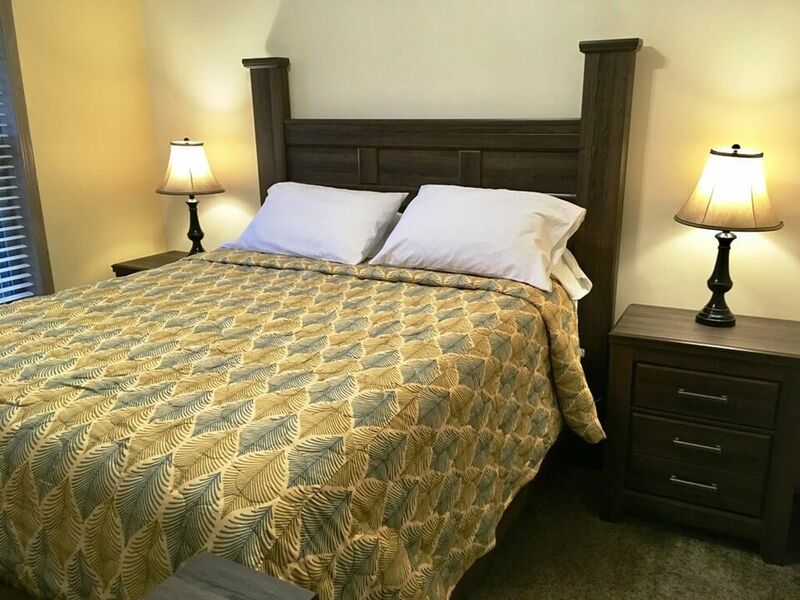 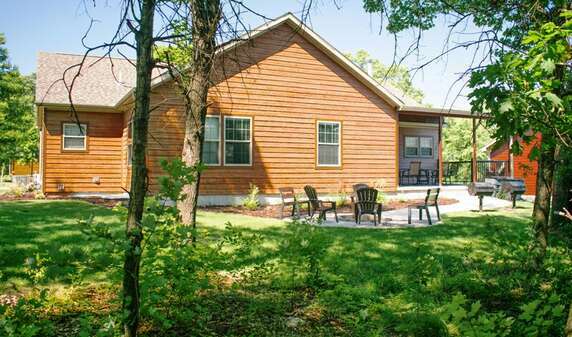 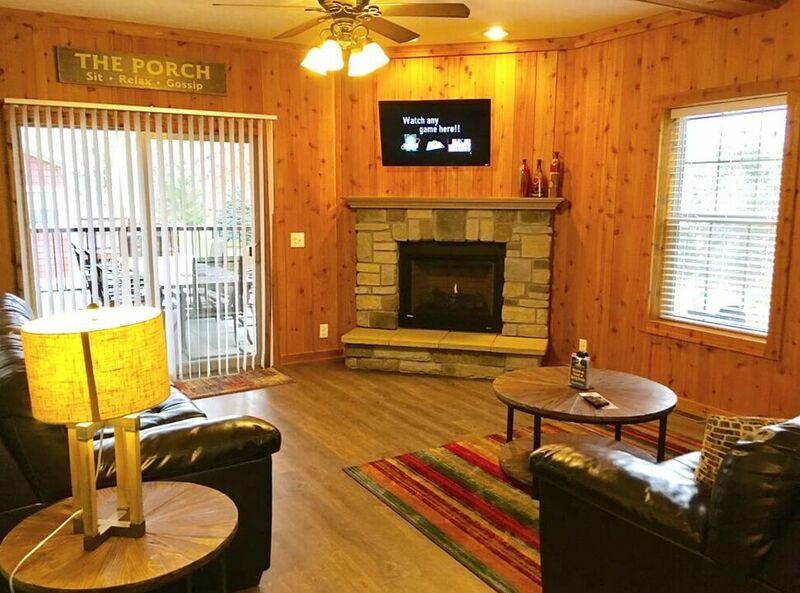 The main level has one master bedroom with a suite retreat bathroom that includes a whirlpool tub, a separate walk-in shower, king size bed, fireplace and flat screen TV. 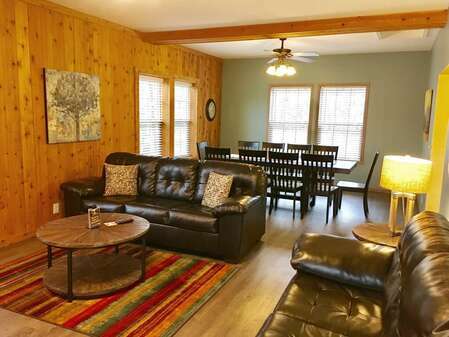 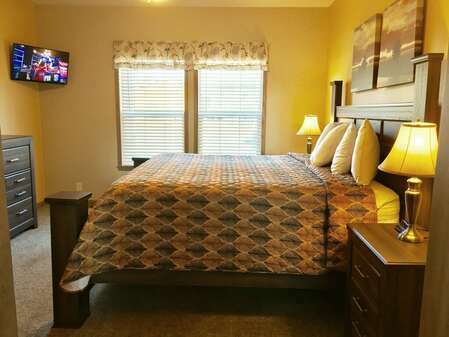 There are also two additional bedrooms (one king and one queen bed), two living rooms with TVs and a stone fire place. The fully stocked kitchen has all the conveniences of home including full size appliances, tableware and cooking utensils. 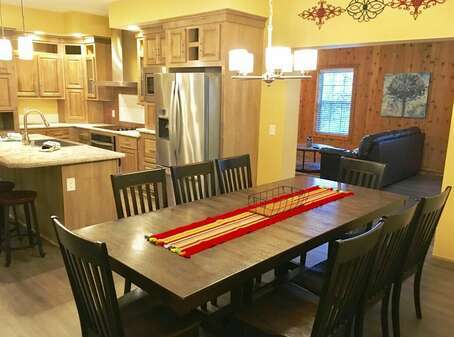 In addition, there’s extra seating at the four person breakfast bar. 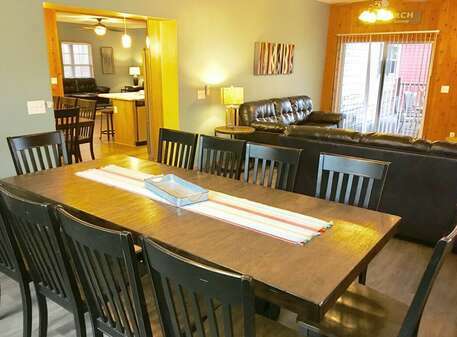 There won’t be any trouble finding comfortable places to eat and/or relax! 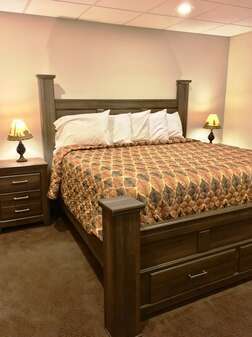 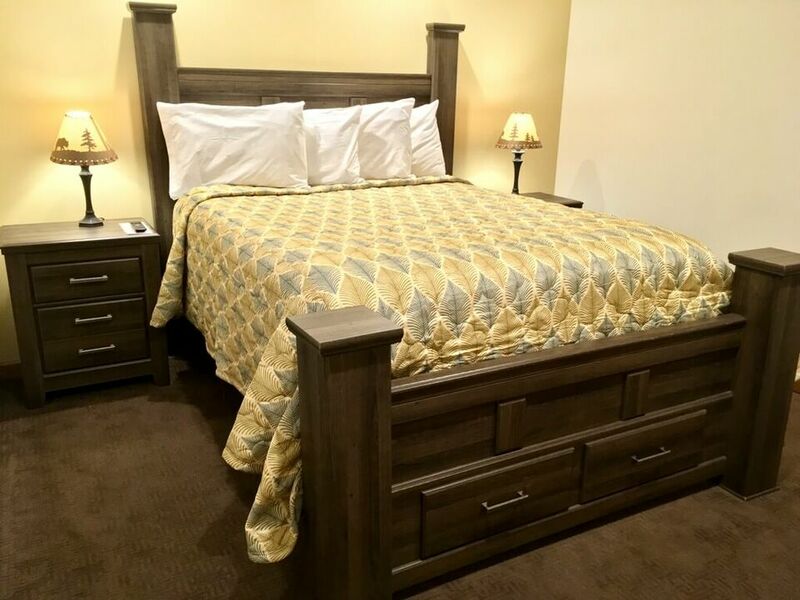 The lower level is beautifully finished with a second master bedroom and two additional bedrooms each with a king bed, a queen bed, and TVs. 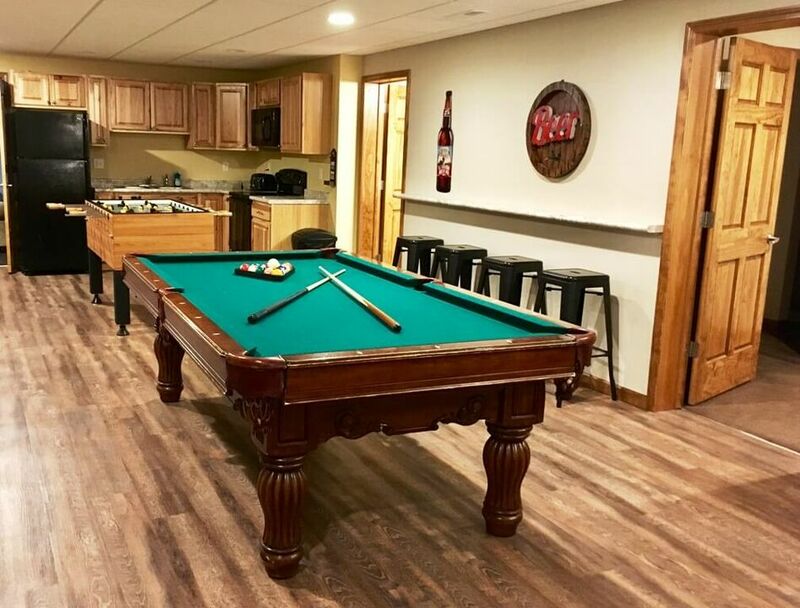 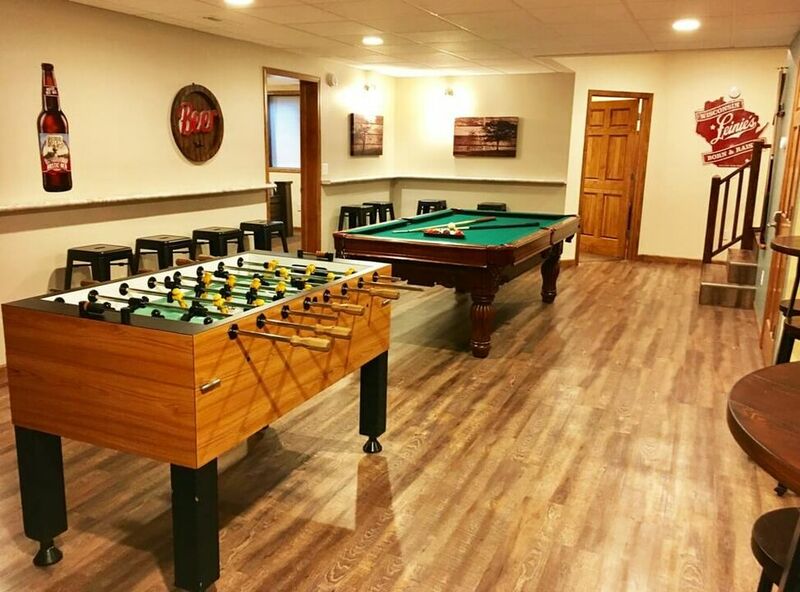 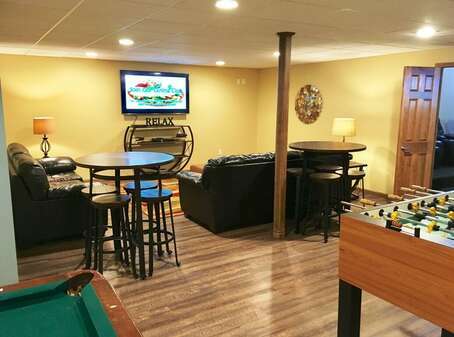 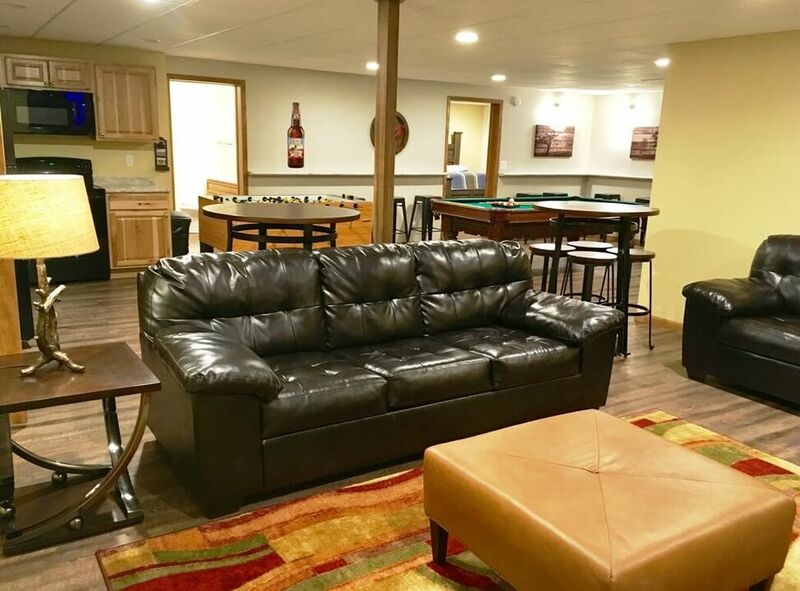 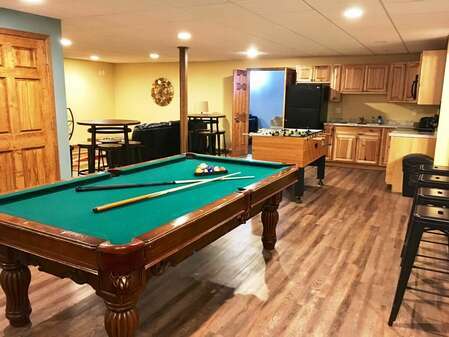 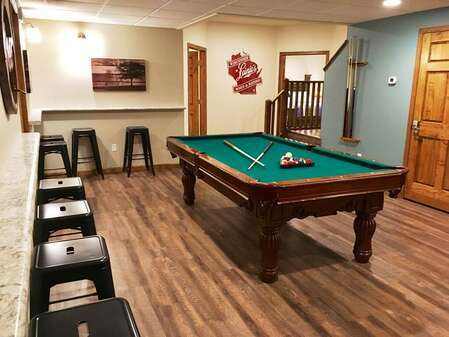 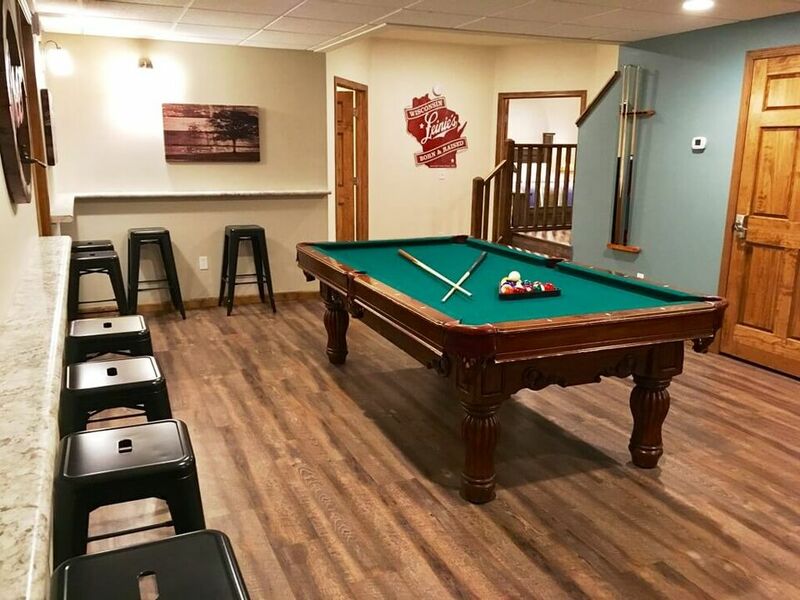 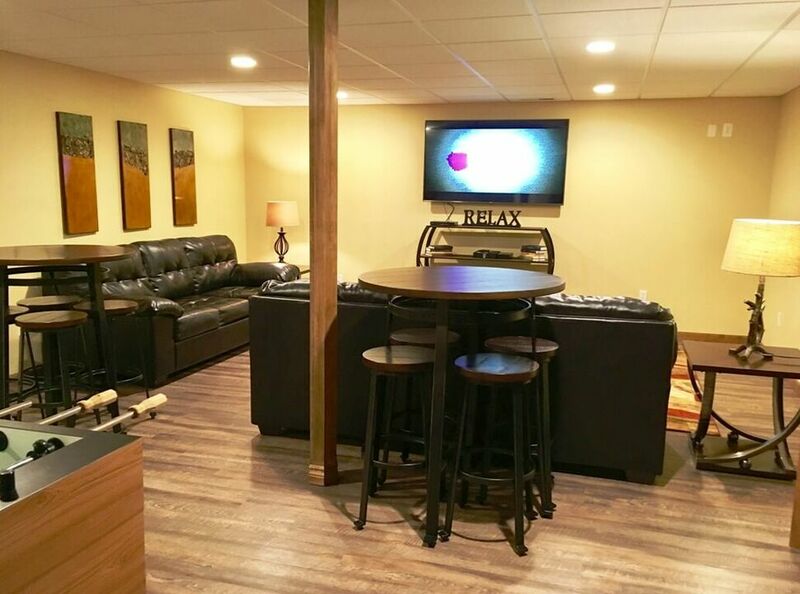 The huge family/rec room includes a sofa hide-a-bed, a large TV, foosball and pool table. 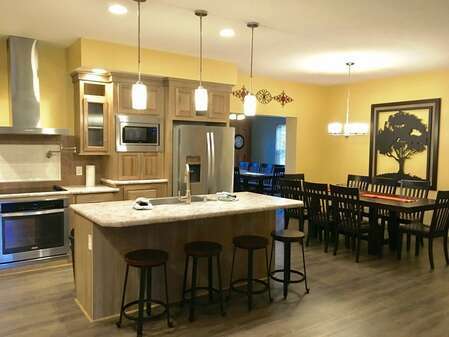 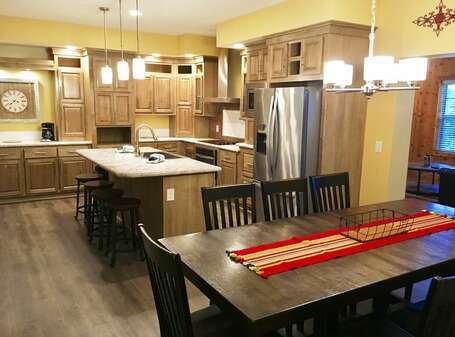 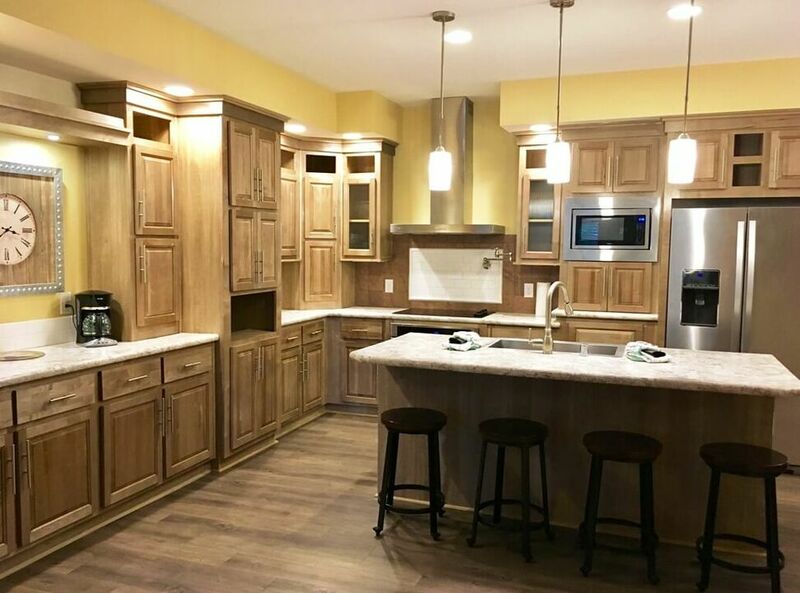 The second full kitchen provides added convenience and full size appliances. 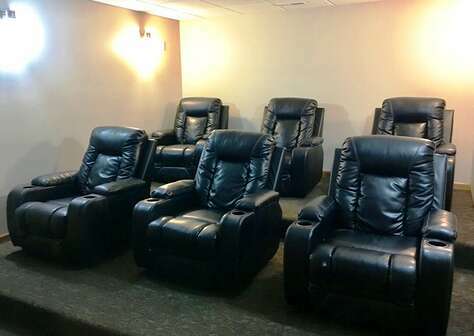 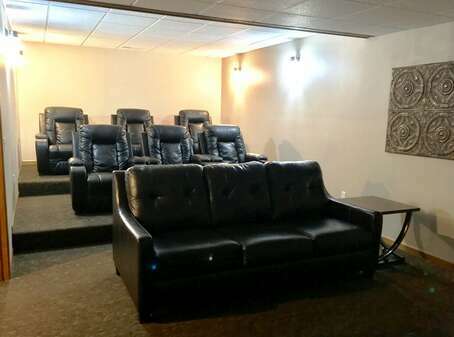 Aside from functionality, the lower level boasts a private theater room with two levels of seating plus a sofa sleeper. It’s perfect for a movie night, corporate meetings or all types of sporting events amongst friends and family. 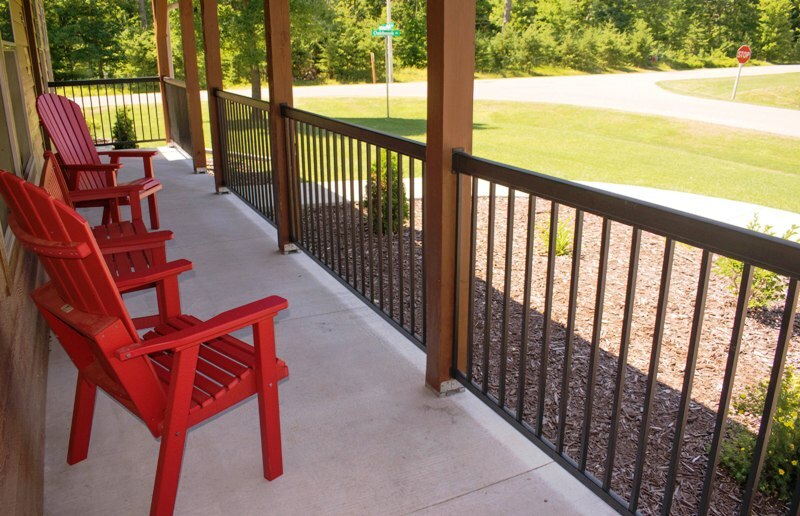 Enjoy the outdoors with a large covered deck complete with two charcoal grills and a fire pit. 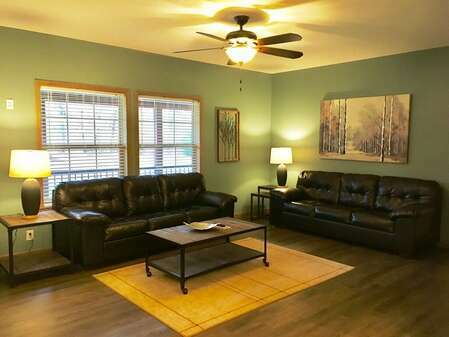 The home also provides four sofa sleepers to accommodate guests. 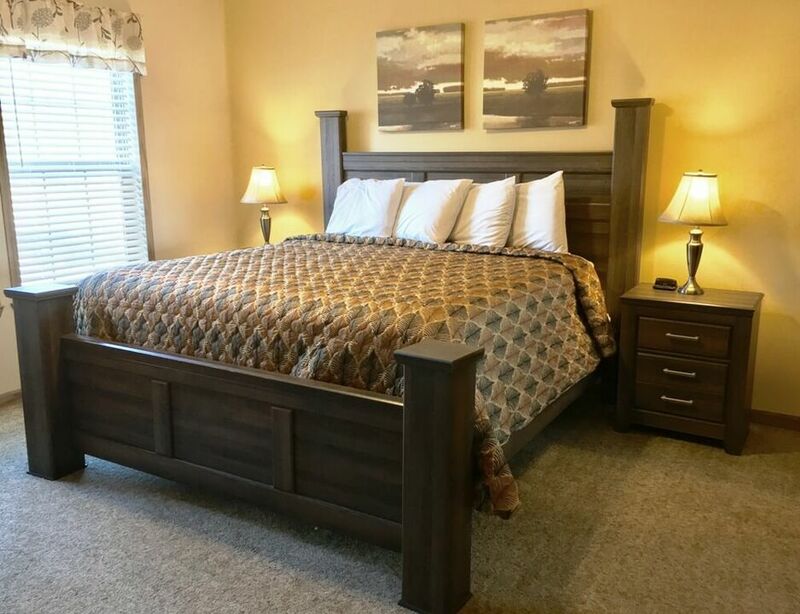 Crossing at the Oaks is just a short jaunt away from the Spring Brook clubhouse where the indoor/outdoor pools, golf course pro shop, and sports bar & grill are located. Home sleeps maximum of 20, rates based on 12 people over the age of 3. Extra guest fee of $15/night per additional guest applies. 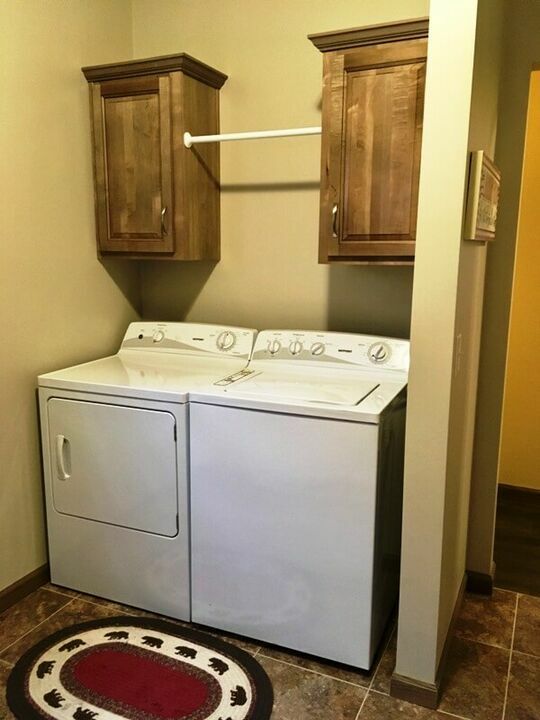 Security Deposit of $500 required.